History.Mythology – In many European Countries throughout history smoky Quartz has been a good luck stone that would be worn as a protective talisman. The belief is still strong today and you will find crusifixes/cross cut from Smoky Quartz. References to the sacred stone Smoky Quartz and its uses in Scotland date back to the druids and it is to this day the National Gem Stone of Scotland. 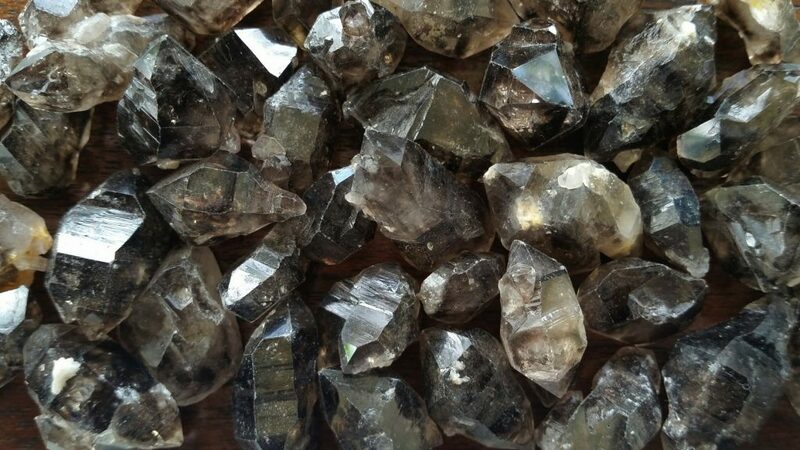 Smokey Quartz is an excellent stone for grounding and protection, especially when you are feeling highly stressed. It helps to eliminate and detoxify the body on all levels. It also assists in easing fear and helps to lift depression. It is a wonder calming stone and assists you to feel more centered in where you are at. 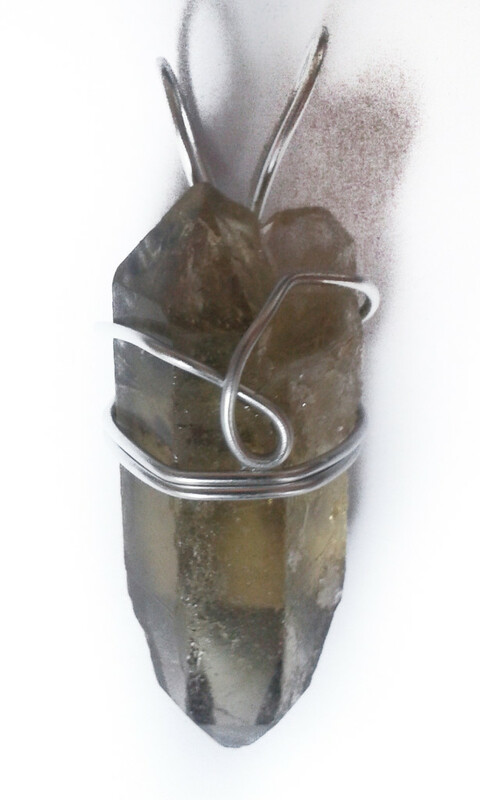 Smokey quartz helps us to achieve a seen of acceptance with who we are and our own physical bodies. In situation of stress, hold a smokey Quartz in each hand and feel their calming effects. 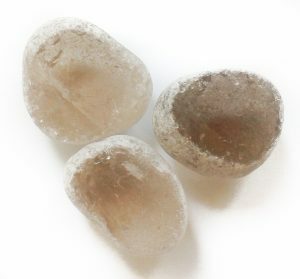 Smokey Quartz can be laid directly on the afflicted body part for pain relief. 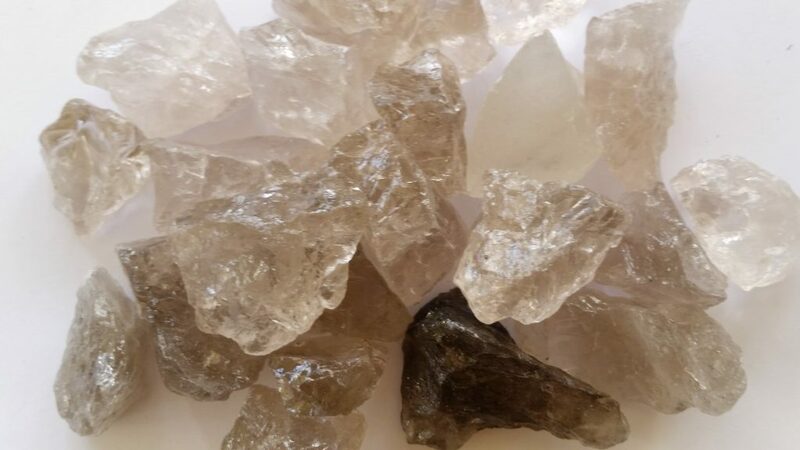 Jewelry especially bracelets, rings and anklets (due to their proximity to the connected Chakras) made from Smokey Quartz is an extremely useful piece to have on and wear for its grounding and protection capabilities. 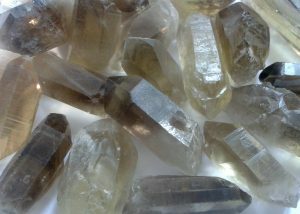 Healing with Smokey quartz Crystals is a great way to life depression and ground the person. This can be further fine tuned by using the formation within the crystal as well please see here for different crystal formations.